Pyrometers provide a means of measuring the surface temperature of an object from a distance and without having to physically contact the object. Clearly these are useful tools for many operations and industries. The ability to measure temperature without contact provides isolation of the sensor from the target, as well as the ability to take temperature readings from a distance. A pyrometer does not rely upon intimate contact between sensor and measurement point. This is helpful is scenarios where the shape, location, or content of an object does not accommodate the installation of a temperature sensor. Service technicians can make great use of portable pyrometers when diagnosing machinery or process operation issues. Pyrometers rely upon the gathering of radiation emitted from the measured surface. The instrument collects the radiation through its optical system and focuses it onto a collector or measuring element. Further internal processing produces the temperature reading in engineering units. There are several variants of IR (infrared) technology applied to pyrometers, but all operate on the same general principle. Obtaining reliable measurements with pyrometers can require some knowledge and awareness of the emissive properties of the material being measured. There are some applications that are better served through the use of a particular IR measurement technology. Multi-wavelength pyrometers employ measurement across a number of wavelengths to offset the effects of what are referred to as "non-greybody materials" that adversely impact readings derived through the use of other IR technologies. Algorithms are developed for specific applications that will provide accurate emissivity and temperature readings. Some examples of non-greybody materials. You can see from the list that many industrial and commercial applications will benefit from the use of multi-wavelength IR measurement. More detail about pyrometers for industrial use are in the document included below. Share your temperature measurement challenges with an application expert and combine your facility and process knowledge with their product application expertise to develop an effective solution. 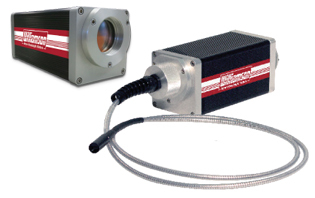 Infrared Pyrometers for Industrial Use from Hile Controls of Alabama, Inc.